After a car accident, your life can come crashing down. Right the wrongs you’ve suffered by working with a Lewiston car crash lawyer. Too many car accident victims try to handle their injury claims on their own. Unfortunately, that approach can leave you without the compensation you deserve. Working with a Lewiston car accident lawyer can help you in several ways: It can relieve your stress, allow you to focus on recovering, and maximize the value of your claim for compensation. The attorneys at Craig Swapp & Associates are ready to handle all the difficulties of pursuing car crash injury compensation so you don’t have to. You’ll need to have an accurate picture of the extent of all of your injuries and how they will affect your life. This information will help your Lewiston auto accident lawyer place an appropriate value on your claim and illustrate why you deserve compensation. You’ll need to be very careful when speaking with the insurance company, including your own insurer. That’s because insurance companies are primarily focused on turning a profit, and compensating you fairly doesn’t help their bottom line. To that end, insurers are likely going to call you and ask questions about your car accident. Speaking with them leaves you vulnerable to accidentally saying something they can later point to when they try to refuse to fully compensate you. Fortunately, it’s easy to protect yourself; you only need to tell the insurer to speak with your Lewiston auto collision lawyer. Your attorney’s job is going to be two-pronged. First, he or she will need to demonstrate that the other party was responsible for the accident. This is critical for any injury lawsuit because someone else must be to blame to collect financial compensation. Second, your Lewiston car wreck lawyer needs to value your claim and gather evidence for why you deserve compensation. Once the value of your damages has been calculated and an initial value has been placed on your claim, your attorney can prepare a demand letter to be sent to the insurance company and other attorneys involved. If they agree to pay the requested damages, your case could be settled. Otherwise, they may make a counteroffer, and negotiations may go back and forth. If the other side refuses to offer an acceptable settlement, your case could go to trial. Your Lewiston car collision attorney will represent you every step of the way. Dealing with the insurance company and filing an injury claim after you’ve been hurt in a car accident is by no means an easy task. To make things easier and raise your chance of a favorable outcome, you may need experienced legal representation. 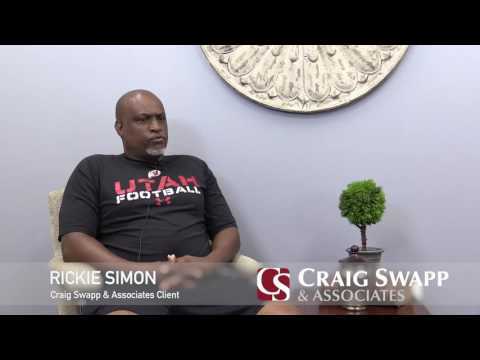 That’s something Craig Swapp & Associates can provide. Schedule a free consultation with a Lewiston car accident lawyer by calling 1-800-404-9000 or filling out the online contact form below.